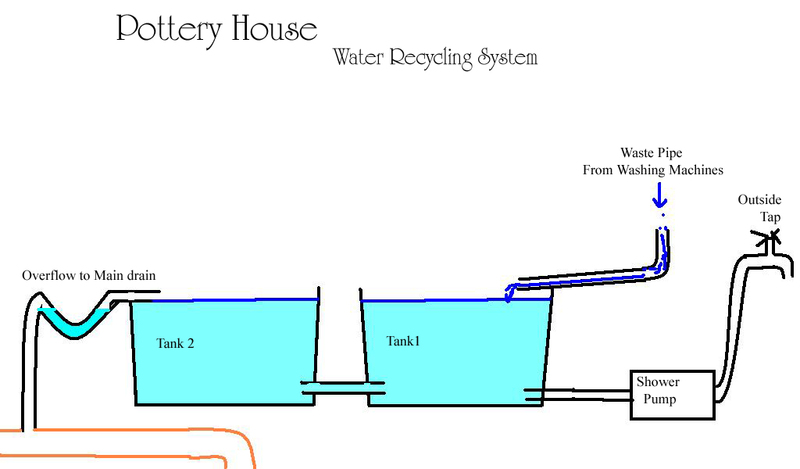 Here is the final plan of our water saving project. 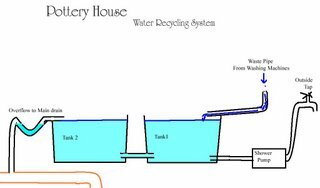 The idea is that waste water from the wachine machines will flow into the tanks under the house. We're using two tanks because we didn't think one would hold enough. We can't put one large tank in because of the limited head space under the house. The water flows into 1 tank and then through a connecting pipe into the second. The second tank has an overflow into the main drain, with a water trap to stop smells escaping. We went for this two connected tanks idea, with the water flowing into one and then overlfowing out of the other so that in the winter when we are not using the water for the garden there will always be a flow of water through both tanks which should help stop the water stagnating. The tanks will be connected to an old shower pump, connected in turn to a tap on the outside of the house. Turn on the tap and in kicks the pump and out flows the water. That's the theory anyway!!! 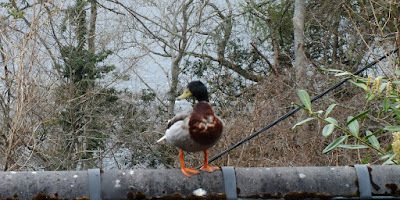 I'm doing a blog about my bed and breakfast too. I'm trying to find as many of us innkeeper/bloggers to put together on the links to section of my blog. We collect rainwater from our roofs and store it in two cisterns. The first cistern is 8000 gallons and I treat the water (chlorine) there and then pump it to the 10000 gallon cistern which we use for everything. We get a lot of rain here (funny how that happens in the rainforest) so the system works.